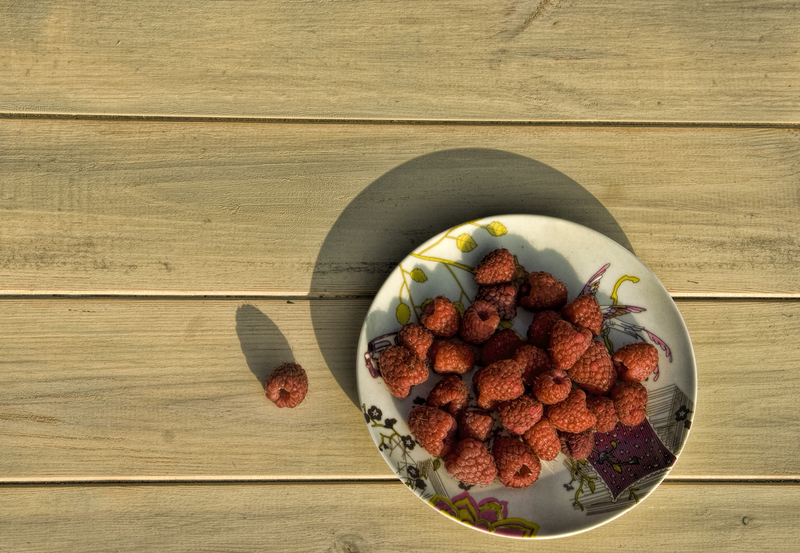 If you are fortunate enough to grow your own raspberries then you’ll no doubt be harvesting plenty of them right now. I have brought back several punnets of them from my allotment plot, the Circus Garden, over the past week or so and it seems that with each return visit there are just as many more waiting to be picked. Raspberries are one of the easiest and most trouble free fruits to grow, even if you only have limited space. That is, unless you grow them on a commercial scale. Monoculture inevitably encourages the concentration of pests, in this case raspberry beetle, vine weevil and cane midge, and the build up of these pests leads in turn to an over reliance on pesticides. The government’s Expert Committee on Pesticide Residues in Food produced a report in 2011 in which it revealed that pesticide residues had been discovered on several samples of raspberries on sale to the general public. 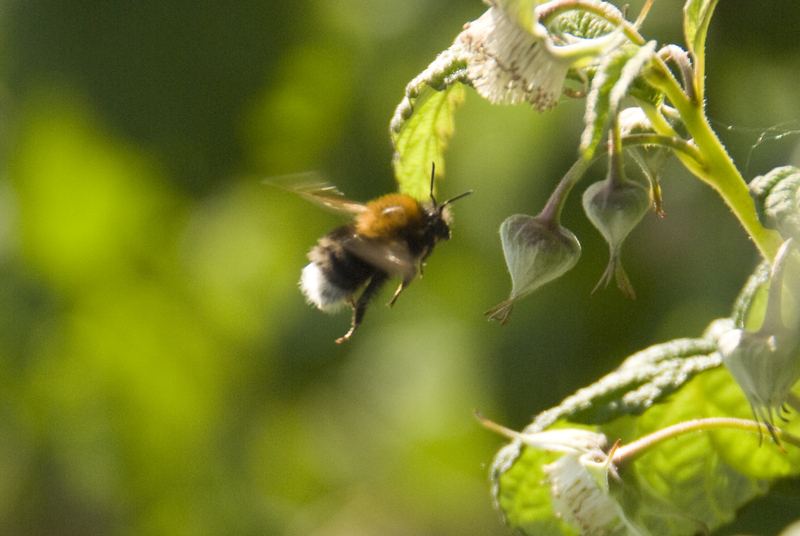 Over a quarter of the samples contained multiple pesticide residues and in one case included carbendazim, a pesticide which is not even approved for use on crops in the UK. When you choose to buy non organic food, just remember that pesticides are designed to kill. They are not designed to be ingested by humans. Anyway, that’s enough from me. If you’re in the same position as I am you may be wondering what to do with all these fresh raspberries, apart from give them away or freeze them. Well, I’m delighted to have at least one answer in the form of a recipe from my first guest blogger, Jean Luck, who has been making this truly fabulous raspberry and hazelnut dessert for many years. Jean is not only my mother in law but also a great cook, as this recipe shows. Below is Jean’s recipe but, first, her story of how this wonderful dessert came about. This hazelnut meringue gateau belongs to the japonais type of confection. A version of it, together with delicious coffee, used to be served in the Laigh Coffee House in Edinburgh. Situated in Hanover Street, in the basement of a Georgian terrace, and accessed by a winding stone staircase, the Coffee House was a joy to visit. coffee tables, and high backed rounded wooden and rattan Orkney chairs. A hazelnut meringue gateau was made daily in a small kitchen at the back of the premises, and such was its popularity that sometimes you had to wait for another one to be cooked. The Laigh Coffee House was owned and run by a tall, elderly, and distinguished looking actor, who sometimes sat at one of the tables, but sadly both are no longer there. This is my recreation of that gateau. 1. Preheat the oven to 150˚C (300˚F gas mark 2). eggs and put the whites in a mixing bowl (you can use the yolks to make a custard or a mayonnaise). Whisk the egg whites with the sugar, cornflour and vinegar. When it is stiff, fold in the toasted hazelnuts. 4. Divide the hazelnut meringue mixture between the two tins and bake for 30-40 mins until crisp and golden. Leave to cool. 5. Whip the cream until it form soft peaks. Place once of the meringue sheets onto a flat plate. Spread half the cream evenly across it, scatter the raspberries on top, sugared if necessary, followed by the remainder of the cream. Sandwich with the remaining meringue sheet and dust thickly with icing sugar (this can hide a multitude of sins). Serve. Sounds divine, Im going try this on my guests, I also liked the story about the recipes origins. Well done Steve and Jean. its good if you do four thin layers of meringue and tastes delious…. and there wont be any leftovers ! I was lucky enough to live in Edinburgh as a student from the US back in 1983. This was my all-time favorite dessert and I frequented the Laigh Kitchen several times per week. Thank you so much for the post and your recipe!